See the difference our training could mean to you and your dog! If you’re looking for dog training in New Hampshire, we welcome you to see our results. From off-leash obedience training to fixing dog aggression, we’re all about functional training that lasts. Here you can see not only great off-leash obedience, but also a variety of tricks we can teach, from running backwards to fetching a drink from the refrigerator. 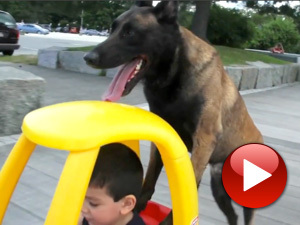 See this Belgian Malinois in action! Jax is a Norwich Terrier from Dover, MA. His owner, Mariah, had heard that Terriers would never come on command and that they needed to be kept on leash at all times. Then she found First Choice Canine. Oscar’s aggression made it hard for owner Chris Daniels to take him to public parks in Haverhill and Groveland, MA. See Oscar’s transformation after enrolling in our aggressive dog rehabilitation program. See Eugene and his dog Sulling in Boston Common almost 5 years after training with Khaled. Our training keeps your dog focused on you, even with cars, people and animals around. Thanks to off-leash training, owner Brian and his sons Conner & Aiden can enjoy Dundi at home or in public. We make sure everyone in your home can benefit from your dog’s training. Matt enjoys fishing, hunting, and hiking. Training helped to make his dog Brady the perfect companion to share these hobbies with. Now he can enjoy his dog outdoors without worry. When you’re a professional dog trainer, finding ways to get your dog and son to bond can be fun! Here’s Eteo, a Belgian Malinois, and his favorite human, Aden (3). See Our Reviews & the GREAT Things Our Clients are Saying! Don’t take our word for it! Check out some of the amazing reviews owners around New Hampshire and see for yourself why First Choice Canine can assist with ALL of your dog and puppy training needs. Brody and Riley, two German Shepherds who completed our off-leash obedience dog training demonstrating their work out in public with their mom. Menno, a Belgian Malinois who completed our aggressive dog rehabilitation program demonstrating his off-leash obedience and control out in public. 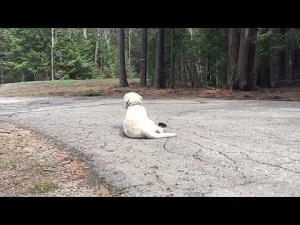 Odo, a Labrador Retriever practicing some obedience with his handler.